The job market is changing extremely fast nowadays. The digital technology is reshaping our work and is opening up new opportunities. In this constantly changing working environment, the companies and the candidates are getting more flexible in many aspects. One of the most discussed topics in the last years in the HR world are the job offers that allow employees to work from home. The remote work, also known as telecommuting, virtual job, telework and home-based job, was only for freelancers a few years ago. The new trend that´s growing exponentially now is the remote work for employees. Working from home has many pros, but is not perfect. 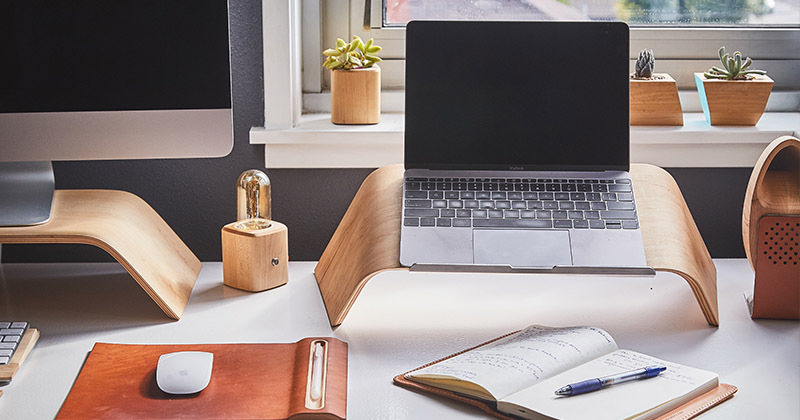 In order to consider if working remotely is for you, let´s have a look at the positive and negative aspects of working from home. The best part about a virtual job is that you get to work from anywhere. Converting your home in an office is not the only option for working remotely. You have the flexibility to work literally, wherever you want. You can create the ideal workspace for yourself while also attending events or traveling. Once you get used to the independent lifestyle and start enjoying the benefits it brings, it’s really hard to go back. Working from home doesn’t include fun lively sport activities, team building excursions, and gourmet catering or even simple happy hours with your coworkers. Home workers often report that they feel disconnected to the office and it’s for this reason that many of them will work outside, at a coffee shop, a coworking space or a library. After all, we need social connections. Telework erases the waste of time, energy and money. Getting to and from work is producing a lot of stress for most of us and we know that stress is the worst enemy of productivity. A part of this stress is connected to the realization of all the time and money you spend to get to your work place in a month. Working from home will also save you money from extras expenses, such as a morning coffee and/or lunch. At the end of the day it is more economical to work from home, not only for the employee, but for the employers as well. After working in an office with a specific schedule, suddenly you have to set your own boundaries and decide how much work is too much. It’s easy to become overworked or lose motivation when you don’t have others around you to compare with. Remote work will make you realize that calls and meetings can be productive. Communication with a colleague and setting up a daily routine can put things into perspective and it´s essential for telework. If you chose to work from home, forget about the 9-to-5 working days and the 40 hours week. For better or worse, you will measure your work in quality and not quantity. Sometimes, will take twice as long to achieve a goal when you´re out of the office. However, don’t get disappointed yet, you can practice your hobbies during the day or take longer lunch brakes, as long as you balance with your responsibilities. In conclusion, remote work does seem attractive and has a lot of hype right now, but it is not for everyone. Stepping into the world of digital nomads is a brave step, given that you have to be more consistent, flexible and determinate than your office based coworkers. It´s a decision depending of the preference and personality of each person. Unless you’re a freelancer, getting a home-based job may be a challenge still. Some professionals like writers, translators, email marketers, graphic designers, community managers and developers are more likely to work remotely. If you are not part of these communities but you want to give it a try, just ask your employer for a remote trial run. It’s as easy as that! - How can Social Media help you to find a job?